Aspirate liquid, then cover cells to a depth of 2–3 mm with ice-cold 100% methanol. Allow cells to fix for 15 minutes at -20°C. Rinse in 1X PBS as in step 5. 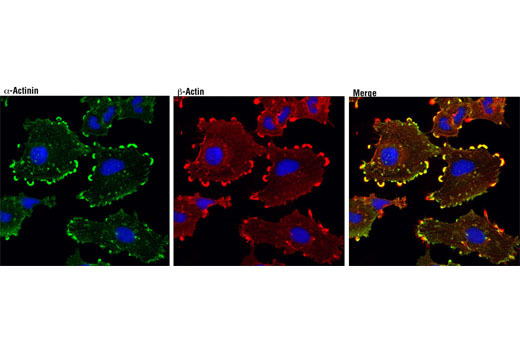 For best results, examine specimens immediately using appropriate excitation wavelength. For long-term storage, store slides flat at 4°C protected from light. 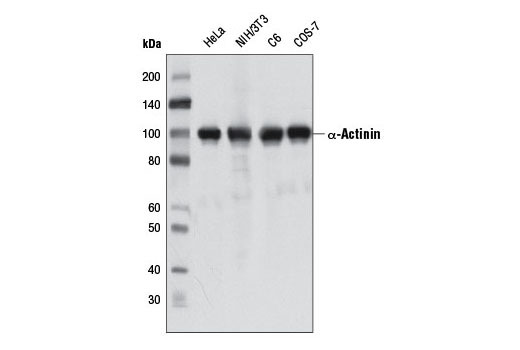 α-Actinin (D6F6) XP® Rabbit mAb recognizes endogenous levels of total α-actinin protein.